You might say, this is a no brainer! But the fact is that more often than not, we put this obvious thing way back on the ‘to-do’ list to actually find some meaningful data. If you or your business is looking to go big on social media in 2018, you need to first come up with a content strategy. In simple words it means the story that you wish to communicate to your readers and followers online. Your followers know you have something to sell; the point is why should they buy from you? A content strategy does not mean putting out your products and services day in and day out on all your social media channels. That will just wear out your readers faster and could also lead to higher unfollowers and non-engagement. 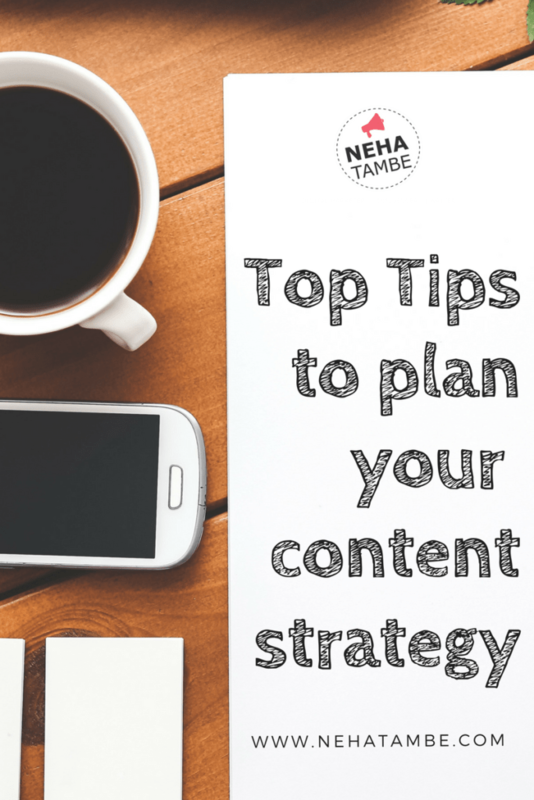 Content strategy will help you plan your story. It will help you communicate the various reasons why your followers should continue following you. All businesses or even a personal brand will have a long term goal, but that should not be what you should be looking at, when deciding your content plan. Break up the long term goal into smaller, achievable mini-goals and use these to plan your content strategy. So, if your mini goal is to increase the engagement of your posts by 20% at the end of two months, you need to think backwards and come up with the various kinds of content relevant to your industry that will help achieve this. If you have some social media channels or blog already active then see what kind of content has worked in the past. List down those categories in an excel. Next look at the competition to understand what other kinds of content are they coming up with and what kind of content seems to attract maximum engagement. Next is ask your existing audience, via a poll, or an email to understand what kind of content are they looking for. Collate all the results and you have a list of variety of content that you can share on your social media channels! It is a good idea to take a peek into your analytics and first identify which channel is working for you and focus on your content strategy in that channel. No one wants to see the continuous barrage of promotional posts on their timeline. Have 80% content that is helpful and motivational for your field and keep the rest as promotional. Repurpose your existing content or do an FB live Q and A, have a twitter chat or have a group board activity for inspirational ideas on Pinterest. The possibilities are endless. Think what your reader would like to read! Every social media channel will have their insights or analytics that they offer about how your profile is performing. Take a look at those insights to understand the best times to post. Apart from that, make a chart or excel of times when you have seen a peek in engagement for your posts. All social media’s have an expected range of posts to consider your profile to be active and engaging. For eg: You can post 4-5 posts in a day on Instagram but the same amount on Facebook will have a negative effect. So depending on the social channel, understand the required number of posts and create accordingly. Just copy-pasting good stuff never got anyone anywhere! Find your unique voice and be consistent in communicating that with every post you put out. Look at big brands to understand how each brand has a unique message and voice. It will reflect in their text, image, colors, design and the content of their message. The way Shahrukh Khan is associated with romance and Amir Khan with experimentation, build your unique association. It you see big brands too it is the same – Tata is associated with trust while Mahindra is associated with coming up with something new. You don’t need to shout from the roof-tops, but subtle and consistent communication will etch your unique voice in the minds of your readers. Every social media and blog platform offer analytical insights. Make complete use of them. While creating a content strategy understand the formats that see more interest. Also figure out the devices that your end user is using to access your page or website. If the audience is accessing the pages on mobile, your images and content should be attuned to that. If the audience is seen to access videos more, try creating engaging videos that will help you reach more people with highly engaging content. Finally, track your monthly progress with analytics and understand if your strategy is working. Look for obvious clues like increase in reach, likes, shares etc. Also see if your engagement posts got the kind of engagement you were looking for? Keep your eyes open for the latest changes and updates by the channel and how it is affecting your page and business. See how much traffic is your social channel bringing and where that audience is going and how are they behaving on your site. If you have any downloads to offer, see how many downloads happened in the past month. 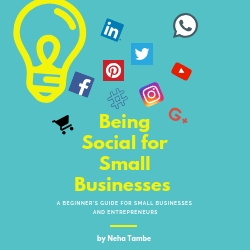 With more than 2.5 billion people expected to be online, and 65 million business pages on Facebook, social media marketing is a channel that small businesses cannot ignore. As the channels are coming up with newer ways to help businesses reach more targeted audience, this is the right time to explore the niche and identify if it works for you. This is amazing tips. Thanks for sharing. This was helpful. Shall implement some of these right away. I have been meaning to work on my strategy. Your tips and pointers have given me the push to do the same. Thanks Neha! Another well researched post, Neha! Very applicable for me, as I am a content person. Keep them coming up!